Michigan is such a beautiful place to plan a wedding. If you've lived here all your life, you may even take for granted the natural beauty of our area. Many people travel hundreds of miles to be married here, whether they want a traditional summer wedding when the world is fresh and green, or a romantic autumn wedding during our sensational fall color change. Others love the icy cold months, perhaps for a wedding at Christmas, or they opt for a breezy spring outdoor ceremony to symbolize new beginnings. It's true that Michigan is one of the most wonderful states in America to tie the knot. But choosing the perfect season for your once in a lifetime ceremony is just the first step to making your fairytale wedding a reality. MichiganWeddingPlan.com has information on everything that you need to make your Southeast Michigan wedding an absolute dream come true. 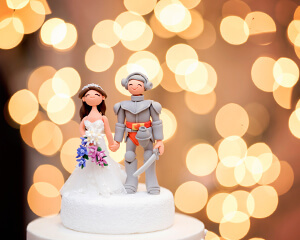 We'll tell you all about Michigan wedding venues, Michigan wedding photography, wedding cakes made in Michigan, Michigan wedding florists, local DJs, and the perfect transportation to get you and your guests from place to place on the big day. Your wedding is a special memory that you will treasure forever. Before that day arrives, let our carefully researched articles help you to craft the an amazing wedding that's suited to your tastes and preferences. You can navigate through all the pages of our website by using the menu at either the top or bottom of each page. Feel free to click through planning, venues, photography, cakes, florists, DJs, and transportation in whatever order suits you best. We recommend keeping a notepad handy to jot down phone numbers and information as you go, and best of all, bookmark us so you can return for more information. Thank you for visiting, and may you have a blessed and beautiful wedding! 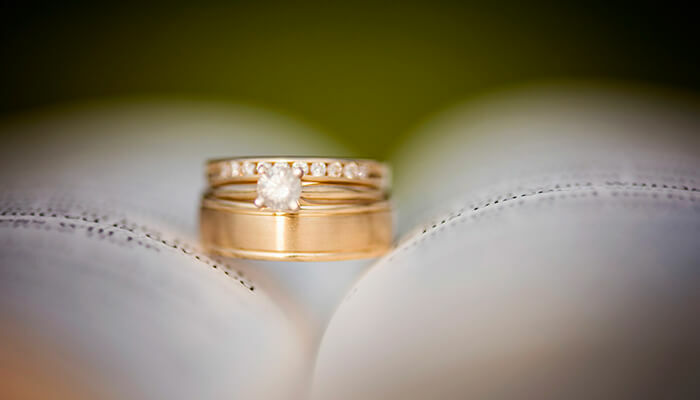 Wedding rings signifying unity and an everlasting bond. Choosing a date of course comes first. We recommend setting the date six to twelve months in the future. There is so much planning involved, and you need to give yourself enough time to do it right. Once you've chosen a date, one of the first things you'll want to consider is how formal you want the big event to be. This doesn't have to be a question of finances, though sometimes you will choose a smaller wedding because that's what you can afford. Many people choose to have a more cozy get together with just a few of the most important people in their lives. Others want to go big and bold, at the most beautiful church or venue, and then head to the most extravagant reception ever. Maybe you want to go somewhere in between those two extremes. Just make sure that your general idea fits both your style and budget, and from there you can begin to plan the finer details. Next you'll want to consider the size of your bridal party and guest list. Knowing how many people will attend makes it easier to figure out your budget and it is extremely important in choosing a wedding venue. Once you've done this and spoken with your clergyman or officiant, you'll move on to planning the most exciting parts of your big day! Finding the perfect bridal gown, bridesmaids dresses, as well as the attire for the groom and groomsmen. Your bridal gown will require several fittings to make sure it's just right. 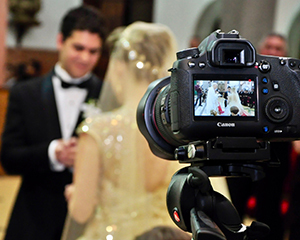 You'll need to choose a photographer and/or videographer to capture the event perfectly. Then choose a florist and caterer, and of course a DJ or band. You'll register for gifts. And select brides maids. You'll want to rent a spacious limo or better yet a party bus. And did we mention choosing a destination for your honeymoon? That may just be the best part! Approximately five months before the date of your wedding, you'll want to ensure that the following items are taken care of. Finalize that guest list. (You don't want to be consumed with that job when the big day is almost here.) Rent tents, arches, and other decor. You must do this well in advance, or you'll find that the rental companies already have other commitments at that time. This is especially true if you have planned a summer wedding, and doubly true if it's in June. This is also the time to order your invitations and announcements, as well as the thank you notes that you'll be sending after your wedding is through. You've already chosen a florist, caterer, DJ or band, and wedding cake, so confirm all of these and be certain that everything is finalized. Once it is, you'll want to share all of that information with the management at your reception venue. 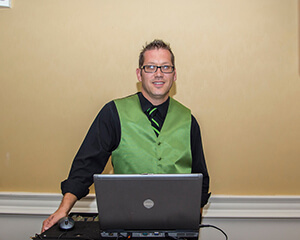 Making sure that everybody is on the same page is key to having an incredible wedding. When there are just two months left before the big day, you'll want to get in touch with your clergyman once again to make sure that he has all the important details. This is the time to plan a wedding shower, so make sure that you appoint one of your bridesmaids, perhaps the maid of honor, to keep track of all the gifts so that you can send appreciative thank you notes. At this point you'll want to draft that final guest list and plan the rehearsal dinner. 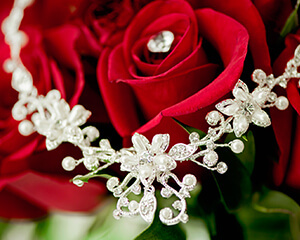 As the bride, you'll need to choose gifts for the attendants and for your groom. Double check (and triple check!) everything that has been rented, booked, or scheduled. If you're moving to a new home in conjunction with your wedding, this is the time to make those moving arrangements. Your final gown fitting will be at this time, and you'll have your bridal portraits done as well. Thirty days before the big event, you'll pick out wedding bands with your soon-to-be husband. Now you'll mail those invitations, and upon RSVP, make reservations for any guests who are coming in from out of town. It's also time to secure a marriage license. At this time you'll be having your bridesmaids lunch and your wedding shower. After all the planning, you may find that you're overstressed. Use these events to unwind and enjoy the moment. You want to remember these moments for a lifetime. Just two weeks left before you tie the knot? Now's the time to make an appointment with your favorite hairdresser. Bring your headpiece and veil so that he or she can plan the perfect updo for you, and schedule that appointment for the day of the wedding. Check that all attire for the people in your wedding party is taken care of. Arrange for a name and address change if necessary, and notify the newspapers of your upcoming nuptials. When your wedding is just one week away, you'll want to call and remind your guests about the rehearsal dinner time and place. If you haven't already shopped and packed for your honeymoon, now's the time! Be sure that your wedding announcements are ready to mail the day after the event. Make things easier on yourself at this time by delegating some tasks to close family and friends. Finally it's time to relax and enjoy the fruits of your hard work! Have your wedding manicure and pedicure done, attend the rehearsal and dinner, and give the ushers the finalized guest list for your wedding. There should be no worries on your mind on this day. Just let go and enjoy. On the day of your wedding, be sure to have a good breakfast. Your nerves are likely to be high and that will naturally burn off a lot of calories. You want to make sure that you keep your energy up! You'll begin the day with hair and makeup, and before you know it you'll be saying "I Do" and heading off on the honeymoon of your dreams! Now a days party buses are the in thing for weddings. Should you decide to get a party bus we recommend Detroit Party Bus and Party Bus Detroit. If you are out of the area you could try Minneapolis Party Bus, Milwaukee Party Bus, and Chicago Party Bus. If you're on the west coast we recommend SF Party Bus, Portland Party Bus and Seattle Party Bus. If your wedding is in Indiana we recommend Northwest Indiana Limousine. If you're in Ireland we recommend Dublin Limousine. The happy couple celebrates with a beautiful photo of the rings they exchanged. Prepare the guest list and decide on number of guests. Work out a general budget. Speak to your clergyman or officiant. 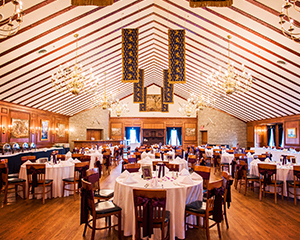 Choose times and locations for the wedding venue and reception. Shop for your bridal gown and bridesmaids dresses. Make sure that your fiancé makes time to choose wedding attire for himself and his groomsmen. Decide on a photographer and/or videographer, florist, DJ/band, and caterer. Choose a destination for the honeymoon of your dreams and make reservations. Order invitations and wedding announcements, plus thank you notes for after the shower and ceremony. Rent all necessary items well in advance. Appoint a close friend (perhaps a bridesmaid or maid of honor) to keep track of gifts at your bridal shower so you can send thank you notes later. Pick out wedding bands with your partner. Attend all fittings for your bridal gown and bridesmaids dresses. Make necessary moving arrangements if you are moving after your wedding. Mail invitations thirty days before the ceremony. Reserve hotel rooms for out of town guests. Confirm all arrangements with the wedding venue, reception hall, DJ/band, florist, transportation, caterer, and photographer/videographer. Attend showers and rehearsal dinners. Go to the salon to plan your wedding day hairstyle and make an appointment for the day of. Notify the newspapers of your upcoming nuptials. Arrange for name and address changes in advance so you don't have to worry about it in the weeks after your marriage. Shop and pack for your honeymoon! Mail wedding announcements the day following the ceremony (this is a task you'll want to hand off to a close family member since you'll be busy enjoying your honeymoon!). Eat a good breakfast on the morning of the wedding to keep your strength up. The excitement can wreak havoc on your blood sugar levels even if you're normally cool calm and collected! ...and of course, on the big day, relax and enjoy. There should be no stress whatsoever on this very special day.